All ATAS autocosmetic meets all international standards (UNI EN ISO 9001:2008) requirements. 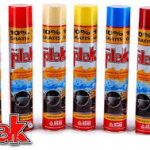 PLAK – automobile interior panels polish with silicone. This tool cleans, gives luster and protects different type of surfaces. DETAP – Automobile interior panels cleaner that disposes and protects different type of the surfaces. 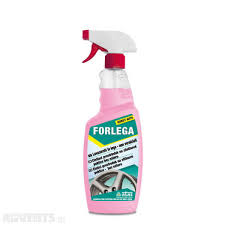 FORLEGA – automobile wheel covers cleaner. This tool effectively removes plaque from the car brake pads, wheels covers and protects chrome, nickel and aluminum surfaces. 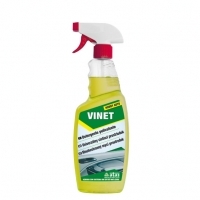 VINET – automobile interior cleaner for plastic surfaces. This tool degreases stains from different type of mechanical parts of the car. PNEUBELL – automobile tires cleaning spray that removes dirt and protects the car tires.